Acne (acne, acne) is the most common cause of complexes in terms of appearance in adolescents, which does not allow some adults to live in peace. The causes of the disease can be hidden inside the body or lie on the surface in the literal sense of the word. Severe acne can severely damage a person’s life, making it impossible to communicate freely with other people and greatly undermine self-esteem. Every day, you need to conduct a series of manipulations to achieve maximum results. • Washing. It is not recommended to wash with running water from the tap, it is necessary to use special gentle agents and purified liquid. 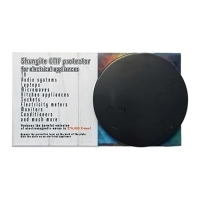 For these purposes, suitable foam for washing, selected according to the type of skin and water infused on shungite. 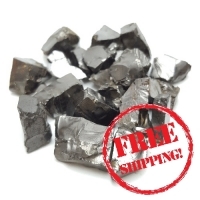 Healing shungite water can be prepared at home by yourself, adhering to several points: before first use, the mineral must be thoroughly washed, then placed in a container and filled with water, let it brew for two days and pour water into another container, leaving at the bottom a layer of water about four centimeters. since it contains harmful impurities and insoluble residues. • Cleansing. Release the skin from the stratum corneum with a soft scrub or peeling (the beautician should select the tool), then apply a mask of shungite powder. 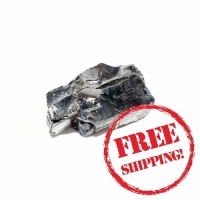 For the treatment of skin diseases (with the permission of a doctor), such as acne, schungite paste is perfect. 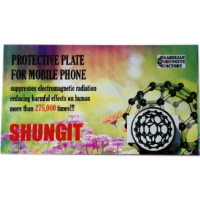 It is prepared independently on the basis of shungite powder and water, to achieve the best effect, you can use the powder of elite shungite. To make a paste, mix the powder with warm water to a creamy consistency and apply on the inflamed area of ​​the face, covering the mass with polyethylene and a soft cloth. The procedure can take from 30 to 90 minutes, depending on the initial problem. The paste is rinsed with warm water. • The final stage. At the last stage, rinse your face with cool water. After rinsing the skin must be wiped with lotion. • Teach yourself to wipe your face after rinsing not with a towel, but with paper napkins! • Take tests regularly to see changes in your body. This will help to control the situation with hormones and eliminate hormonal faults that have not been noticed in time. • Compliance with a special diet will have a tangible effect in the struggle for the cleanliness of the face, since the appearance of lesions is often somehow related to the condition and normal functioning of the gastrointestinal tract. Mainly, fatty sauces and dressings (mayonnaise, ketchups, etc. ), sweets, fatty meats, chips, smoked meats, spices and hot spices should be excluded from the diet. These foods provoke an increase in the level of bad cholesterol and increased work of the sebaceous glands.